Tikva Housing had its annual general meeting Dec. 13, 2018. Two new directors were elected at the AGM, and another has joined since, to be appointed at the next board meeting. The new directors elected in December were Jeremy Berger, a commercial property manager with Porte Realty, and Rhonda Sacks, a realtor with Sutton Group. Both have demonstrated a keen interest in Tikva’s work and have been actively engaged since joining. The new director to be appointed at the Feb. 28 board meeting is Rory Richards, who brings marketing and communications expertise, as well as strong links in the Jewish community. Continuing board members are Shelley Karrel (chair), Gord Kushner (treasurer), Heather Sirlin (secretary) and directors-at-large Dan Granirer, Marcela Manes, Kasimir Kish and Mike Grudman. Alice Sundberg, Tikva Housing’s director of operations and housing development, describes the Tikva board as a dynamic group of professionals who share a passion for providing affordable housing in an expensive region. In a meeting last October, they made a plan for Tikva’s next three years. The key strategic goals are engaged and committed board members and active committees; an endowment fund to provide stable and predictable funding for the rent-subsidy program; an expanded housing portfolio; closer ties with other Jewish nonprofit housing providers; and adequate human resources to manage all these goals. Housing administrator Anat Gogo noted that the demand for rent subsidies is constant. Currently, Tikva is assisting approximately 30 families to be able to stay where they are, without worry of eviction for failure to pay their rent. For more information or to get involved with Tikva, contact the office at 604-998-4582. National Council of Jewish Women of Canada, Vancouver, welcomes Tanya Paz as executive director. 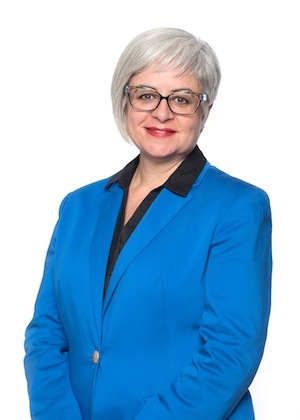 Paz volunteered for NCJWC in the 1990s, subsequently served on the board of directors and was Council’s liaison to Canadian Jewish Congress (now Centre for Israel and Jewish Affairs). Both Paz’s background as development director for the first car-sharing organization in British Columbia (Modo) and her involvement with the Vancouver Jewish Film Festival and other organizations, make her a valuable addition to the community of volunteers that is NCJWC. She also brings a wealth of experience in municipal affairs, in environmental initiatives and in social activism. And her expertise in community development and her commitment to women’s and children’s issues ensure a strategic approach to the goals of Council. Working with the board of directors, Paz will help bring the goals of NCJWC – advocacy, education and social action – to both the Jewish and general communities throughout the region, with a focus on women and children experiencing poverty. Nina Krieger, executive director of the Vancouver Holocaust Education Centre, is among those who have been appointed to the National Expert Committee on Countering Radicalization to Violence. The Canada Centre was officially launched in 2017. Located at Public Safety Canada headquarters in Ottawa, its work includes the National Strategy on Countering Radicalization to Violence and the role of the expert committee is to help the centre meet the strategy’s three priorities: building, sharing and using knowledge; addressing radicalization to violence in the online space; and supporting interventions. Krieger, who previously was education director and curator at the VHEC, is highly regarded for developing educational programs and exhibits that challenge audiences to probe the difficult historical, cultural and ethical issues raised by the Holocaust. She is also a member of the Canadian delegation to the International Holocaust Remembrance Alliance and past chair of the Memorials and Museums Working Group. Joining Krieger on the expert committee are Dr. Ghayda Hassan (co-chair), a clinical psychologist and professor of clinical psychology at the Université du Québec à Montréal: Peter John M. Sloly (co-chair), a former Toronto police service deputy chief and currently a partner at Deloitte Canada; Bob Rae, a professor of public policy at both the Munk School and Victoria College at the University of Toronto, who also serves as senior counsel at Olthuis Kleer Townshend LLP; Dr. Jaspreet Khangura, an emergency physician at Royal Alexandra Hospital and Northeast Community Health Centre in Edmonton; Dillon Black, a gender-nonconforming feminist anti-violence and LGBTQ+ rights advocate and current PhD student with the eQuality Project in the department of criminology at the University of Ottawa; Max FineDay, executive director of Canadian Roots Exchange, an organization that builds bridges between indigenous and non-indigenous youth in Canada, among other things; Rizwan Mohammad, a Canadian Muslim civic engagement coordinator; Irfan Chaudhry, a hate crimes researcher and the director of the Office of Human Rights, Diversity and Equity at MacEwan University; and Dr. Shelly Whitman, executive director of the Roméo Dallaire Child Soldiers Initiative, who is considered a subject matter expert on the issue of child soldiers. On Jan. 28, 10 recent Bnei Menashe immigrants brought on aliyah from India by Shavei Israel, celebrated their bat mitzvah at a gathering of family and friends hosted by Girls Town Jerusalem, where they are enrolled as students. “We were delighted to attend this very special and moving bat mitzvah celebration, which symbolizes the right of passage that the girls and their families have undergone in returning to the Jewish people,” said Shavei Israel founder and chair Michael Freund. “We are determined to continue with our efforts until all the remaining 7,000 Bnei Menashe still in India are able to return to Zion,” he added. The Bnei Menashe are descendants of the tribe of Manasseh, one of the Ten Lost Tribes exiled from the Land of Israel more than 2,700 years ago by the Assyrian Empire. So far, some 4,000 Bnei Menashe have made aliyah with Shavei Israel over the past 15 years, including more than 450 last year. Left to right, National Council of Jewish Women of Canada Vancouver section’s 2018/19 board of directors Catherine Stoller (president), Linda Arato (secretary), Anne Lerner (social action chair), Rochelle Garfinkel (administration) and Debby Altow (past president) were installed by Shelagh Stoller, who gave a brief bio of each member and presented the traditional red rose. The 94th annual general meeting, which took place Oct. 14, confirmed members’ support of NCJWC’s advocacy at the United Nations, on Canada’s citizenship issues and against antisemitism here and abroad. Catherine Stoller reported on the programming for disadvantaged schools in Vancouver, which receives help from the B.C. Gaming Commission. National Council of Jewish Women hosted a tea at Temple Sholom on Jan. 9 to celebrate Marion Poliakoff, a true Renaissance woman. At 94 years young, she continues to be an inspiration to council members past and present. Poliakoff’s career and her personal life demonstrate the principles of NCJW: fostering multiculturalism, alleviating poverty among women and children, supporting family counseling in Israel through ALUMA, and cherishing music and family. Her commitment to clear and convincing communication has been a boon to many newsletter writers – and she continues to edit us closely. Gloria Hendin, who chaired the event committee, welcomed everyone. Shelagh Stoller bought the gift for Poliakoff, which Shirley Hyman presented. Barbara Heller managed all the banner decorations, Bonnie Gertsman and Anne Melul organized the food, and Judy Stern greeted guests as they arrived. The entertainment came courtesy of Poliakoff’s daughter, Amy Poliakoff, who brought her flute from Boston. I delivered the tribute speech, which I share below. Vancouver section president Catherine Stoller set the tone for the annual general meeting that followed the celebration. “Looking backward, we recall our ancestry. Looking forward, we confront our destiny,” she said. The board of directors was installed by Shanie Levin with those words ringing in their ears! In preparing my remarks, I read Melul’s biographical notes on Poliakoff, Carol Weinstock’s article on NCJW in the Jewish Museum and Archives of British Columbia’s journal, The Scribe, and the book More Than Just Mrs.: Jewish Women’s Organizations in B.C., as well as the council’s cookbook. Of course, I also spoke with many council members who worked with Poliakoff, and reflected on my own personal experiences with her. With some minor editing, to reflect their publication after the event, my remarks follow. Marion was born in the United States. Holding a bachelor’s from Simmons College in Massachusetts and a master’s in journalism from New York’s Columbia University, she married Mel Poliakoff in 1949, adopting Mel’s son Merrill at the same time. Although at first they were unable to live in Tenafly, N.J., because, as Jews, they could not buy a house there, nevertheless they did move there a few years later. She became the first Jew elected to public office, serving on the board of education. In 1972, she moved to West Vancouver with her husband and their daughters Amy and Nan. They loved tennis, skiing and sailing. Sadly, Merrill and Nan are gone, but many of Marion’s family were able to join the council’s tribute. When Marion met Bess Narod – Bess is from Ottawa; I knew her family back home – they went to an NCJW meeting, and that was the start of Marion’s connection with council. The first big item she worked on, the hearing screening project in schools, demonstrated council’s mission: identify a need, pilot a response, make it a success and turn it over to government. The Vancouver health department now runs it. Marion also met Rita Weintraub, who became a lifelong friend. Together, they have worked to support the Isaac Waldman Jewish Public Library at the Jewish Community Centre of Greater Vancouver. Meanwhile, Marion got another master’s degree – from the University of British Columbia’s School of Social Work – and, through a field placement at Britannia Community Centre, became interested in multicultural issues. Always the consummate writer, she contributed the Multicultural Corner column to the monthly newsletter of the B.C. Association of Social Workers; another column went into the Britannia newsletter, which was translated into Italian and Chinese. The City of Vancouver grabbed Marion and she ran parenting groups for mothers in three community centres – using translators for Farsi, Chinese and Italian participants. In 1981, she received the Social Worker of the Year Award from the B.C. Association of Social Workers for her multicultural work. I met her when I was the director of communications for the Canadian Cancer Society and she was a social worker at the B.C. Cancer Agency. I was working on breast cancer issues, with multicultural projects for Chinese and South Asian women. We found we had much in common. Marion was also the one who called me every year to pay my NCJW dues, even though I was not an active volunteer in those years. She recruited me after I retired to join the board and, 13 years later, I’m still on it in one capacity or another. In 1991, HIPPY (Home Instruction for Parents of Preschool Youngsters) was brought to Canada from Israel as a council initiative by Carol Slater. Ever alert to new connections, Marion linked Britannia, along with Simon Fraser University, to council as our community partners to launch the HIPPY project. She was intimately involved in establishing its work with immigrant mothers and their families. While its name has changed to the Mothers Matter Centre, HIPPY remains one of council’s programs, and Wazi Kapenda, its Western director, was in attendance at the tribute. Marion’s volunteering extended to driving people to services at Congregation Har El, eventually donating her beloved baby grand piano to the shul, fundraising for the synagogue, and cooking and serving food weekly to needy and homeless people at Harvest House. Later, she joined the North Shore Osteoporosis Society, organizing monthly speakers. 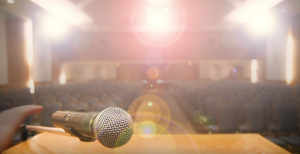 I spoke at one gathering and there were more than 100 people attending – a not uncommon number! Her commitment to ALUMA (formerly the Israel Family Counseling Agency) was, and continues to be, an inspiration. She fought for support for ALUMA in council, because the organization was dedicated to supporting people in Israel who could not afford professional counseling but who desperately needed it. And Judy Stern could always count on Marion to canvass for Friends and Angels, council’s only annual fundraiser. Marion’s was a home where music was loved and valued, even after the piano was gone. She supported the Vancouver Symphony, the Vancouver Chamber Music Society and Music in the Morning. Music continues to be a tree of life for many of her family members. Her close friend Shirley Lecker is part of that tradition. Do you see a thread unspooling here – with HIPPY, with anti-poverty issues, with a commitment to Jewish values, with a passion for family, with a professional eye for communication, with an abiding love of music? When I said Renaissance woman, the label is legitimate. It is such an honour to acknowledge Marion for her work with council – and with many of us personally. It is beyond words. To simply say thank you is really inadequate. But, from the bottom of my heart, and from all of us, thank you, Marion. The Kort family – in an initiative led by sisters Beverley and Alisa – has established a scholarship in their parents’ names with the National Council of Jewish Women. The award will provide education funding to two newcomer women each year. Beverley and Alisa’s parents, Shirley and Sol Kort, have both passed away. They met, said the sisters, in Shirley’s hometown of Edmonton at a Shabbat dinner event organized by the local Jewish community for the American Jewish soldiers stationed there – this included Detroit-native Sol, who was then in the U.S. army. The couple moved to Vancouver in the 1940s and Sol started up the business Kent Chemicals with a fellow American who relocated to Vancouver. Sol was in his 40s when he changed career paths. In his new endeavour, he enjoyed connecting with people who were pushing the boundaries of understanding philosophy, science and psychology – people questioning the world. Meanwhile, Beverley’s mom, Shirley, was busy doing her own work, serving on the board of the Jewish Community Centre of Greater Vancouver for many years and being involved in National Council of Jewish Women (NCJW), among other pursuits. Later, Shirley helped form Shalom Vancouver, a welcoming service for newcomers to Vancouver. When Sol passed away, the Kort family established a fund in his name at the Isaac Waldman Jewish Public Library, as he was an avid reader. They also sponsored the Sol and Shirley Kort Author Series, the opening night of the Cherie Smith JCC Jewish Book Festival, for many years. 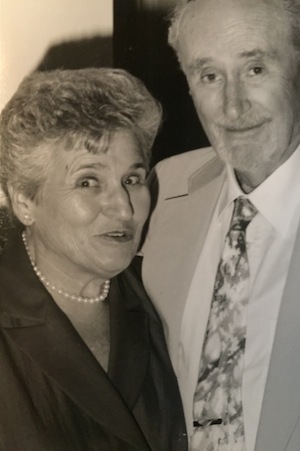 When Shirley passed away, the family wanted to find a way to further commemorate both of their parents’ lives, and looked to the NCJW, even though Sol wasn’t a member of the council. The Shirley and Sol Kort scholarship provides $2,500 per year to two newcomer women toward their education. “HIPPY is a way of keeping my parent’s memory alive and supporting something that represents the essence of what they found important in the world, which is welcoming people, furthering education, being supportive and being larger than the Jewish community,” said Beverley. According to Alisa, her parents were interested in people, above all – they were passionate about education and in helping newcomers to the Jewish community and beyond. Beverley and Alisa also are inspired in what they do by their late grandmother, who informally adopted one of the young children who made their way to safety via the Kindertransport. Past president of NCJW’s Vancouver chapter, Debbie Altow, said, “Shirley Kort inspired us all in council. Besides working to bring HIPPY to Canada, she led the way – she was the first in our membership to use a computer; she worked tirelessly to pilot a hearing testing program for preschoolers (a project taken over by Vancouver’s health department); she hosted so many meetings that daughter, Beverley, printed up a neat collection of her recipes; and she had family and friends all over Western Canada, especially in Edmonton and Winnipeg. For more information about NCJW in Vancouver, visit ncjwvancouver.org. Catherine Stoller, president of the Vancouver section of the National Council of Jewish Women of Canada, announces the Shirley and Sol Kort Family Award to HIPPY, which will enable HIPPY home visitors to pursue higher education in an accredited program. The award, $5,000 annually for five years, will be divided between two qualified applicants, to be adjudicated by the HIPPY board of directors. The HIPPY program, originating in Israel and now operating in many countries around the world, is dedicated to ensuring that immigrant and refugee women can achieve the training and education they need to support their families and create a better future. The Kort family thus continues the dedicated and creative work of Shirley Kort, who was a longtime member of NCJW, and one of the key supporters of establishing HIPPY here in Canada. Both Shirley and Sol Kort were community activists, focusing largely on the immigrant community. They were equally committed to the role of education as the key to better lives for everyone. NCJW of Canada will be celebrating its 120th birthday this year – the Vancouver section has a history of 96 years! NCJW’s commitment to education, service and social action is demonstrated locally, nationally and internationally. Its members have worked with immigrant and refugee agencies for decades and NCJW is proud to celebrate the Kort family’s dedication to these issues.